Reward Points: 99 99 points = S$1.98. When you send DJI product for repair or servicing, a complete evaluation is necessary to ensure that the drone is thoroughly checked. This service is chargable. 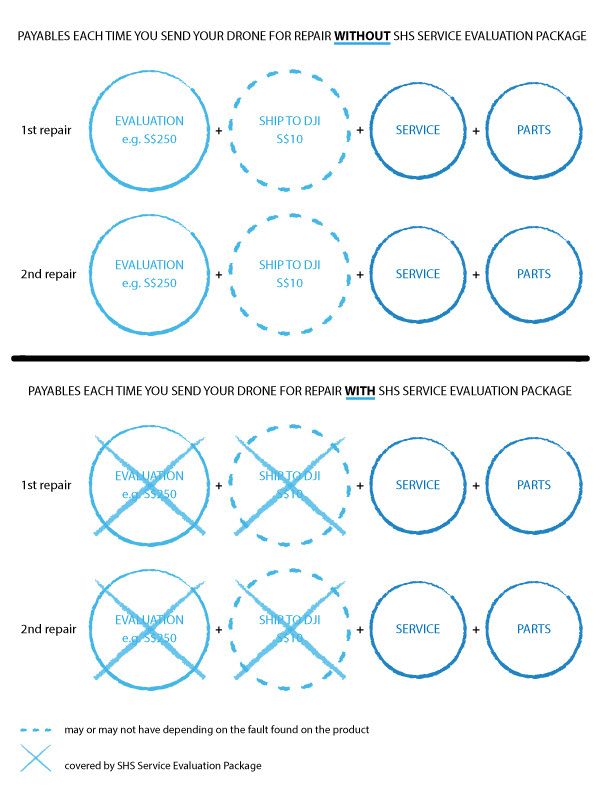 The SHS SERVICE EVALUATION PACKAGE serves to waive all evaluation charges and aftersales technical support regardless of the number of times you send the drone for repair or servicing. DJI PRODUCT PURCHASED AT SINGAPORE HOBBY SUPPLIES? Your DJI Product is automatically covered by the Service Evaluation Package! 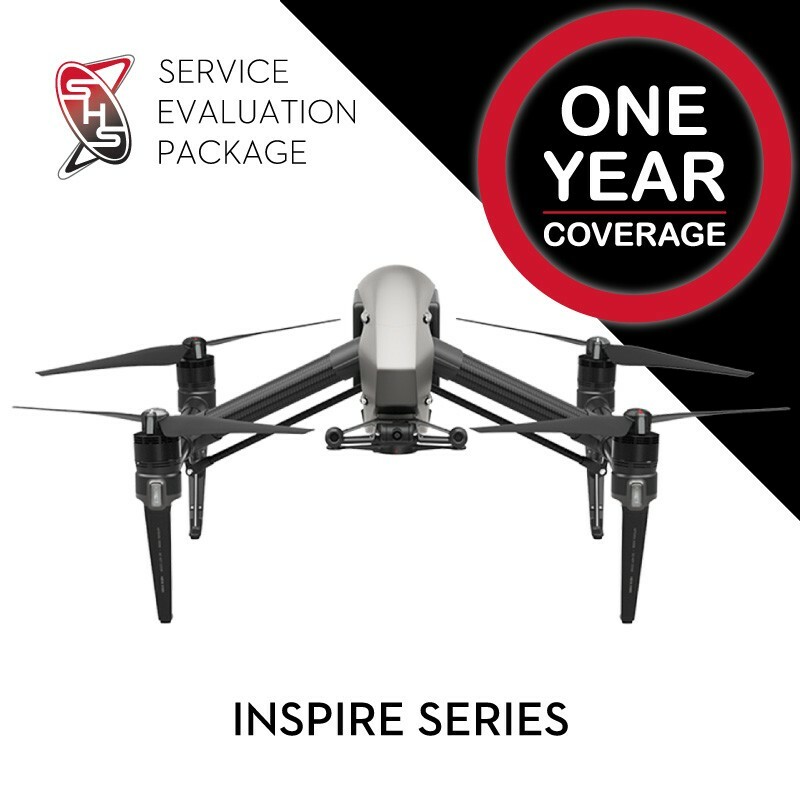 No matter how many times you send your DJI product within your coverage period (12 months from date of purchase), all evaluation service charges are covered. Since information of your DJI product has been submitted prior, it’s faster for us to proceed with the in-processing for service and repair. This evaluation package is only valid if purchased within 60 days of your drone purchase. GENERAL TERMS & CONDITIONS ON SERVICE EVALUATION PACKAGE AT SINGAPORE HOBBY SUPPLIES PTE LTD.
- The validity of the service evaluation package is 12 months from the date of DJI product purchase. - This service evaluation package for the product shall not be transferable, negotiable or assignable to any third party. - To obtain service evaluation package protection, notice of the defects in material and workmanship must be given promptly upon discovery and the unit must be presented with dated proof of purchase from an authorised DJI dealer to our service personnel at Singapore Hobby Supplies Pte Ltd(“SHS”), at the time of service. - If at any time during the service evaluation package period any part or parts of this product is or are removed, altered, tampered, adjusted, modified, dismantled, repaired or handled in any way whatsoever by any person or persons not authorised by us, this service evaluation package shall immediately cease to be valid and become void and of no effect whatsoever. - The terms and conditions of this service evaluation package shall be contained exclusively in this document and no other presentation of provision, either written or otherwise, regardless of the origin of the same, shall be accepted as either adding or subtracting from these terms and conditions. - In addition to the above, our service personnel reserve all rights to refuse to attend to any unit or components installed in inaccessible locations. - We reserve the right to charge a service fee for out of evaluation package repair/service of any nature and shall not be deemed liable if the conditions are not met. - This service evaluation package shall exclude requests pertaining to all refund, replacement, or exchange. - If any part or parts of the unit are replaced with a part or parts not supplied or approved by us or the unit has been dismantled or repaired by any person other than a SHS authorised technician. - Any equipment/product which has its serial number removed or made illegible/tampered. Singapore Hobby Supplies Pte Ltd is a certified service center for DJI.